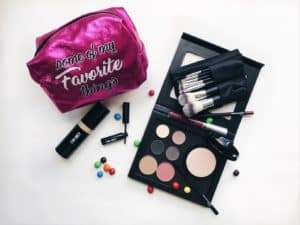 As the weather cools down and the days get shorter in Winter Park, your makeup kit may need an upgrade! Here’s how to upgrade it seamlessly. The transition from summer to fall doesn’t only involve trading your iced latte for a hot one or pulling out your favorite oversized sweater. A commonly overlooked part of transitioning to fall is an update to your beauty routine. Here’s a breakdown of the essential items you need to add to your Winter Park makeup kit to stay in tune with the changing seasons. As colder temperatures make their way to Winter Park, makeup kits need a moisturizer that’ll combat dry or changing skin. Opt for a more substantial amount than you would use in the summer months since skin can dry out quicker in the colder weather. An excellent hydrating moisturizer specifically for your skin type will help prevent your makeup from looking uneven due to dryer skin. Check out our Embryolisse skin care products. While bright colors and pastels are perfect for spring and summer, the shorter days of autumn may require adding a few warm or cool matte shadows along with a couple of shimmery metallics thrown in the mix. 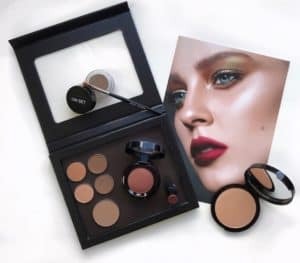 As sweaters and boots come out of the closet, you need makeup that not only brings out your best but also stands up to the vibrant dark hues of a fall wardrobe. Consider adding a deeper warm shade to your eye crease area that enhances the flecks in your eye color. A bronzer isn’t just for summer, so go ahead and add a little to your cheek area with a bit of your favorite blush on top. Or better yet, a soft sweep of illuminating powder on the top of the cheekbones can help make your look complete and look gorgeous in the golden autumn sun. Once fall rolls around, summery lip-glosses and stains just won’t cut it for your everyday lip. Instead, opt for a darker, berry, red or brick tones to bring out your sass and say hello to Fall! Our On Set Pro Makeup lip color shades will bring out the best color for the season. Pair with a simple eye and soft and subtle blush to achieve that classic fall look anyone can wear. If you truly can’t ditch the summer hues, opt for a darker lip color and perhaps add a bit of bronzer to the cheeks. Fall is the perfect time to revamp your makeup and play with new shades and colors. If makeup transitions between seasons confuse you, let the About Face Design Team of professional makeup artists assist you in finding your perfect fall look that is personalized just for you. Especially if you’re getting married or having professional photos taken this autumn, we’ve got you covered. Let’s chat!